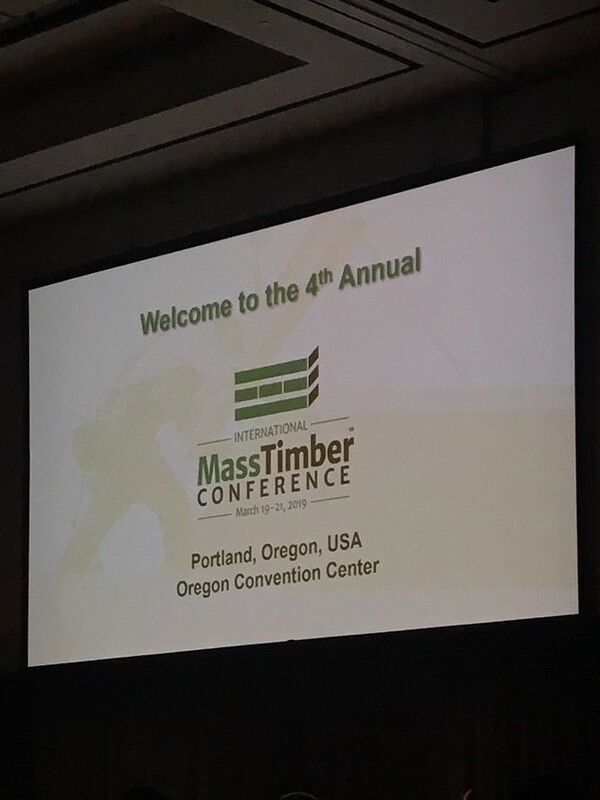 E+M Partner Rafael Machado and Associate Principal Kris Morrison spent several days last week at the International Mass Timber Conference in Portland, Oregon. The International Mass Timber Conference is the largest global gathering of cross-laminated timber (CLT) and other mass timber experts in the world. 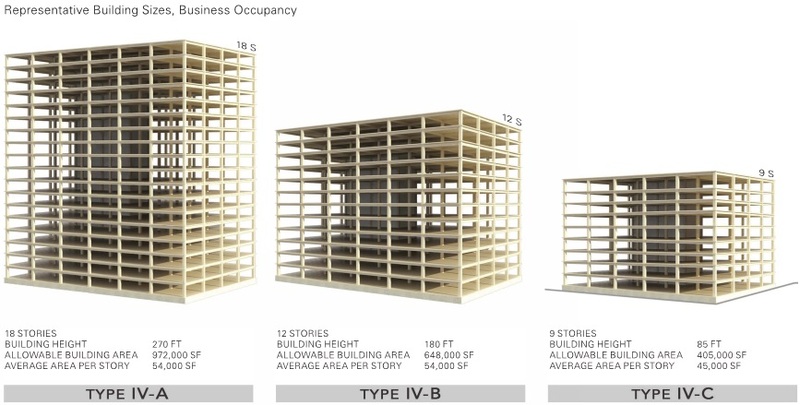 There is a special focus on manufacturing and mid to high-rise design and construction. 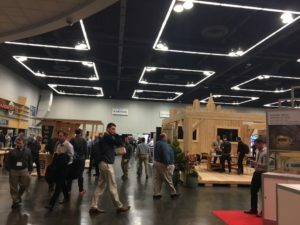 E+M discussed design challenges with engineers that have successfully completed mass timber projects, talked through supply chain logistics with contractors and mass timber suppliers, and consulted with industry experts on the steps needed to make these projects more of a reality on the east coast. 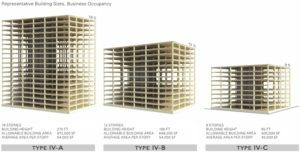 E+M is now well versed in the intricacies of mass timber design and construction. 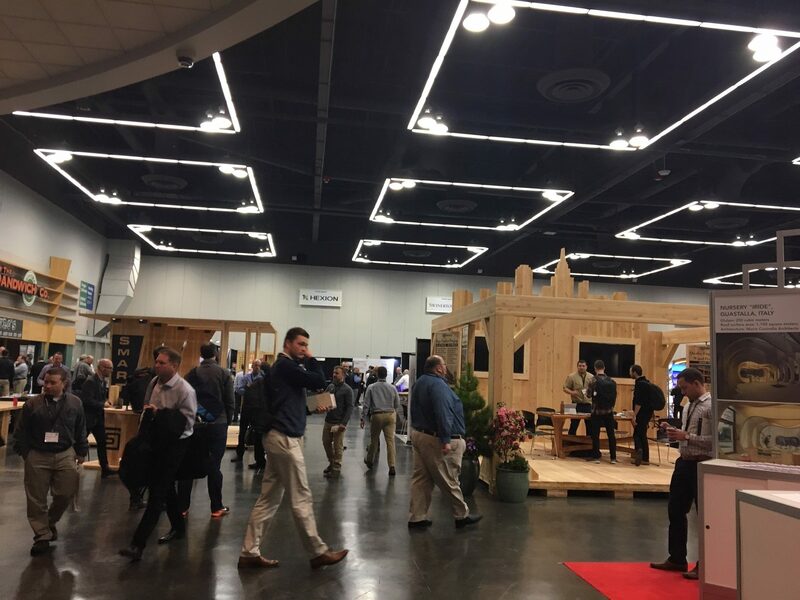 As more jurisdictions adopt the new 2021 International Building Code, that allows up to 18 stories of timber construction, E+M is poised and ready to cost effective structural solutions for this exciting new frontier in construction. Welcome Ellen, Faaz, Ryan, and Jacqueline! E+M would like to welcome new hires over the past few months Ellen Weiss, Faaz Rafi, Ryan McJilton, and Jacqueline Melson to the team! Ellen Weiss will be based in the Arlington office as an engineer. Fazz Rafi will be based in the Atlanta office as an engineer. 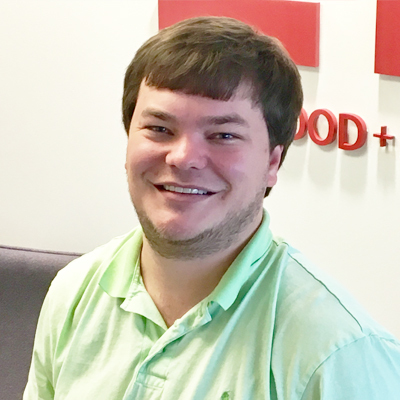 Ryan McJilton will be based in the Atlanta office as an engineer. Jacqueline Melson will be based in the Atlanta office as Office Manager. 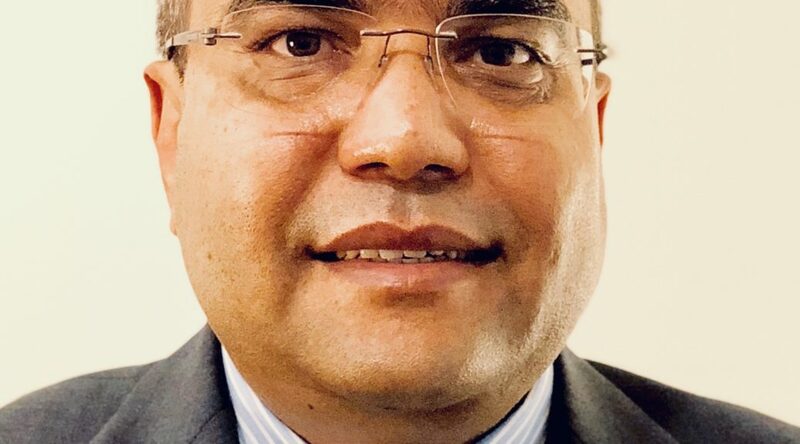 E+M would like to welcome Upendra Poudel, PhD, PE to the team! 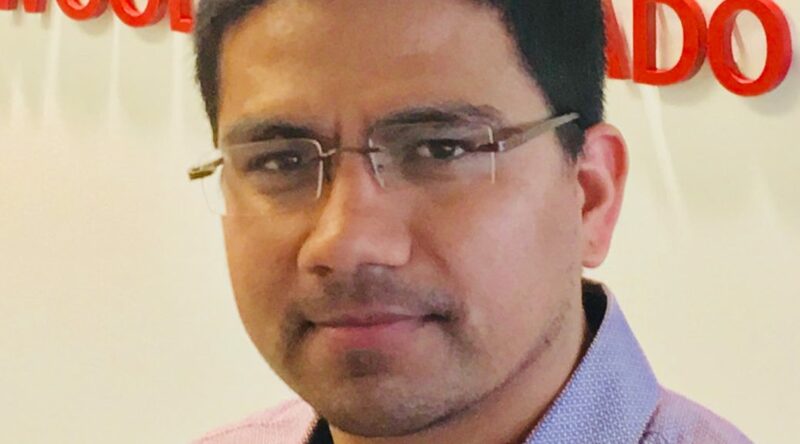 Upendra is originally from Nepal and has a PhD in Structural Engineering from Wayne State University. He will be based in the Arlington office as an Associate Principal. 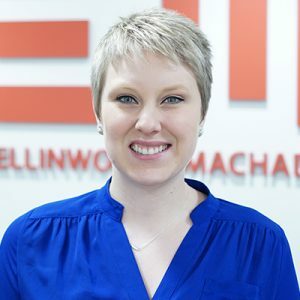 E+M would like to welcome Devon Jackson to the team! 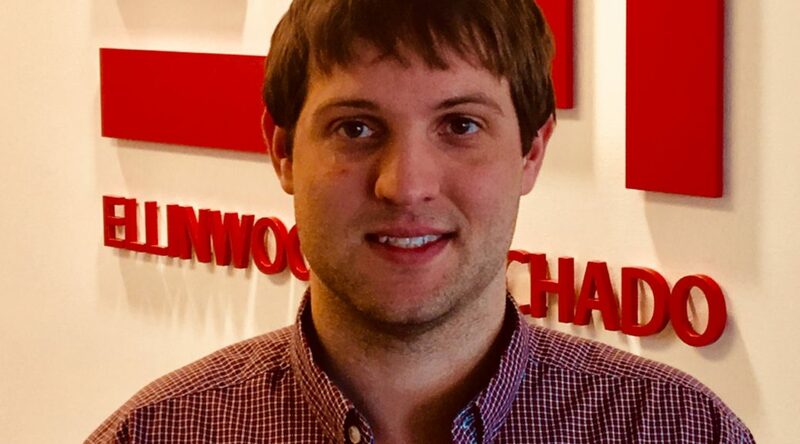 Devon is originally from Roanoke, Virginia and has a Masters degree from Virginia Tech. He will be based in the Arlington office as a Project Engineer. 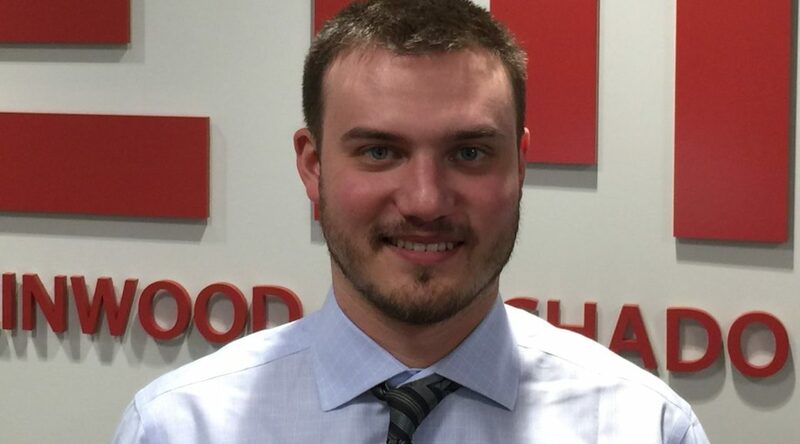 E+M would like to welcome Adam Cox to the team! 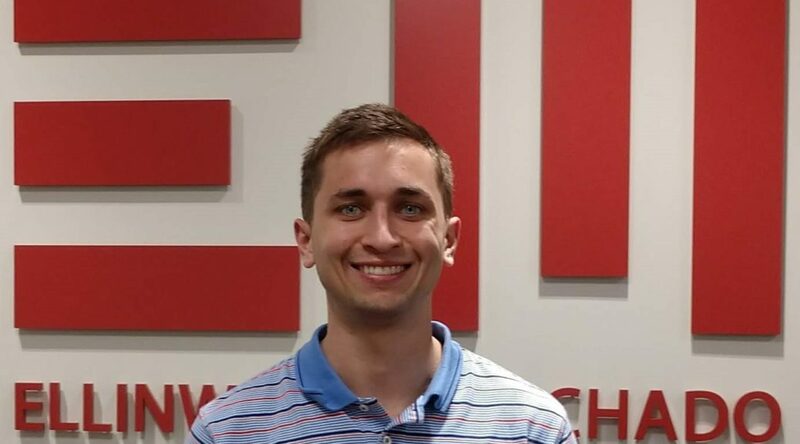 Adam is originally from Chapel Hill, North Carolina and has a Masters degree from North Carolina State University. He will be based in the Raleigh office as an Engineer in Training. E+M would like to welcome Jan Dokonal to the team! Jan is originally from Australia and has a Masters degree from the University at Buffalo. He will be based in the Arlington office as a Project Engineer. E+M would like to welcome Anup Aryal to the team! Anup is a PE with a Masters degree from Vanderbilt University. He will be based in the Raleigh office as a Project Engineer. 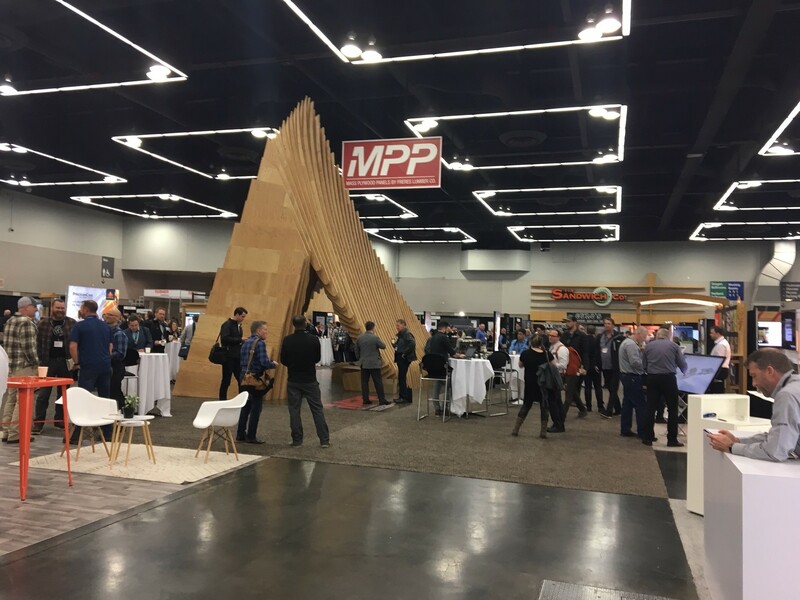 E+M is Hiring A Structural Engineer! 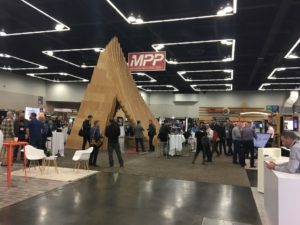 E+M is hiring structural engineers who are looking to join a fun loving group and enjoy getting to design a variety of different structures around the country! Check out our career page for available open positions!